While today was filled with an assortment of good things and a full schedule, there was nothing especially blog worthy about the day. 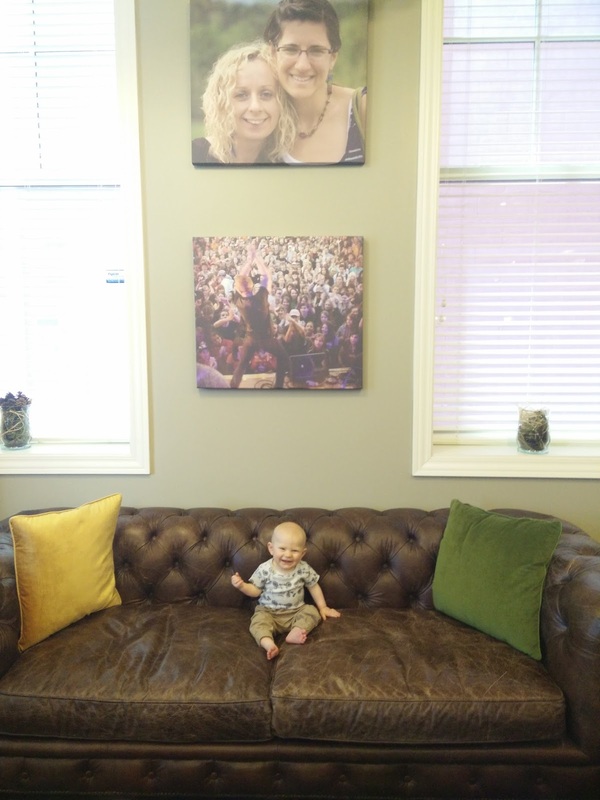 At the Josiah Venture office in Wheaton, Illinois! Tyler sent me the picture just as I was heading to bed right now. How could I resist sharing it?! 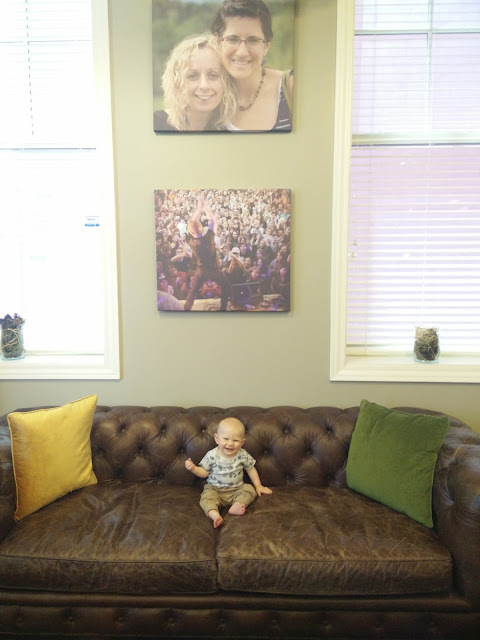 A few months ago, Tyler and Lara were at the office with Judah and took another picture of him on what is fondly known as "Mel's Couch" (our friend and teammate, Mel Ellenwood, picked it out for the office!). I can see a whole series of these photos in the coming years of Judah's life. So now my day is complete. 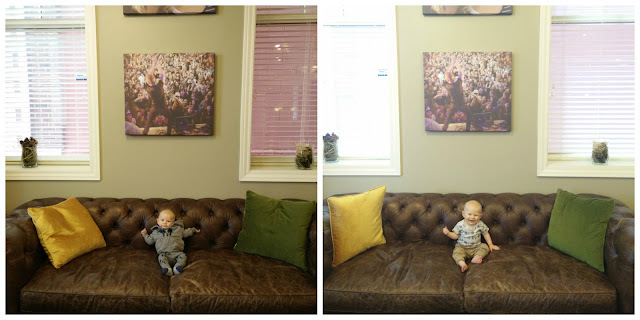 I've got a blog to post, but even better, I've got a great new picture of our dear little guy.